We had brunch here to check out their Lobster roll and to see if this was a good place for brunch. 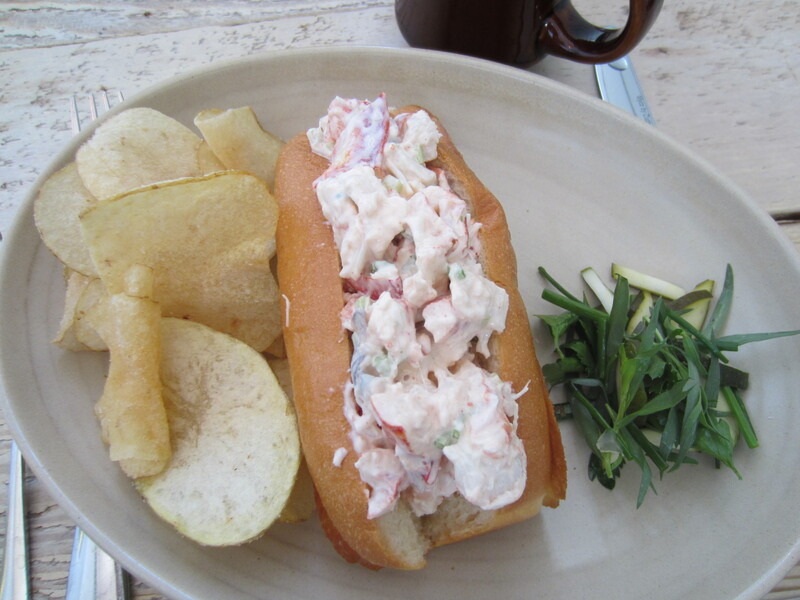 My lobster roll was good, but I don’t know if it was worth the $24. It came with vinegar chips that was fine. 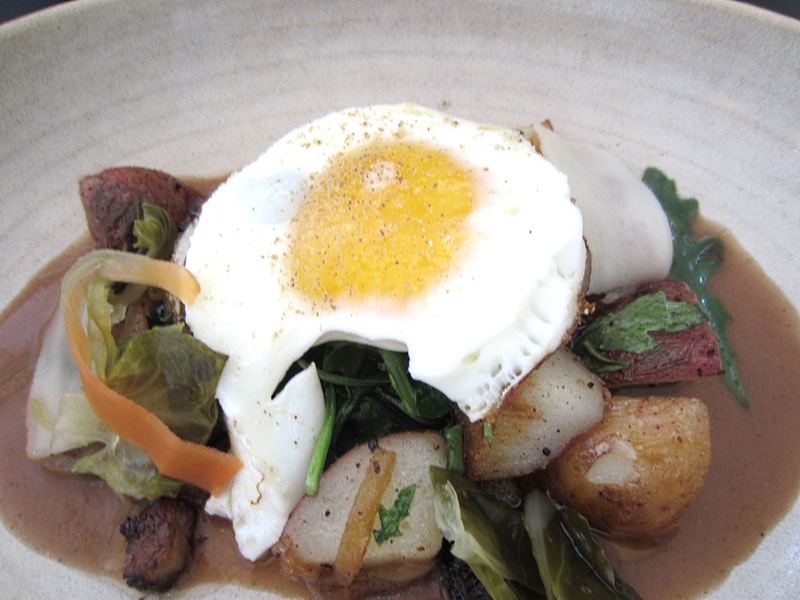 My husband’s smoked meat hash at $13 should be called potatoes hash. As you can see in the picture there was hardly any meat in that dish. Superba Snack Bar in Venice charged us $15 for their wonderful hash and they almost served double the portion. Too bad I don’t see that delicious and hearty dish on their menu any more.